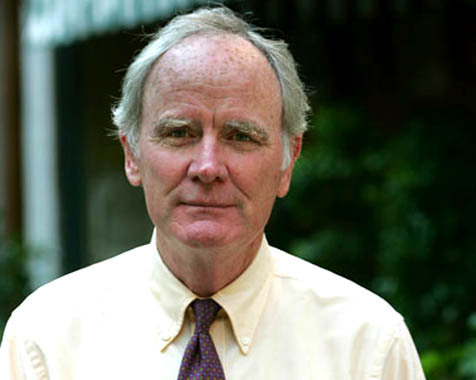 James Carroll, op-ed columnist for the Boston Globe as well as playwright, novelist, essayist, and prolific nonfiction writer, will give a free lecture, The Disputation: Christians Arguing with Christians about the Jews tonight, February 7, at UCSB’s Campbell Hall. The son of Joseph Carroll, an Air Force general who was also the founding director of the Defense Intelligence Agency, James Carroll’s early life as a devout Catholic and member of a prominent military family gave him a unique perspective on the intersection between religion and warfare. Once a Catholic priest, Carroll turned to writing on those topics in 1974. 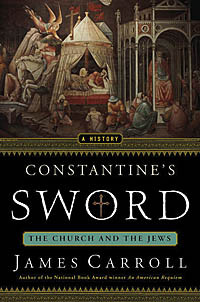 A documentary film based on his 2001 book, Constantine’s Sword: The Church and the Jews: A History, premiered at the Los Angeles Film Festival in June. I caught up with Carroll for a phone interview last week. You’ve had a great deal of success discussing the relationship between religion and politics-do you think that’s because the topic resonates with Americans? Who would have thought that religion and war would be so important in the 21st century, when we were supposedly leaving those two human impulses behind? In the Clinton years, we were post-religion and post-war, and now that has changed. That’s my first thought about that, that religion and war are on the front burner right now. Religion is an implicit justification for that; it’s a very dangerous thing. In your Boston Globe column of January 21, you said, “America’s uninformed, religious prejudice toward Islam was predictable,” referring to post-9/11 events and the Iraq War. Do you think this prejudice was a feature of our government? We reacted very quickly against the Muslim world after September 11, and we were unable to make distinctions within the Muslim world. We saw an enemy in a very generalized and undistinguished way. George Bush’s ignorance was our ignorance-we’d never heard of Al Qaeda. Americans didn’t know that the largest Muslim country in the world is Indonesia, and it’s not Arab. Mark Twain said that God created war so that Americans would learn geography-there’s some truth in that. I would add that it’s so that Americans would learn about other religions. We didn’t know the difference between the Sunni and the Shia, and all of a sudden we’re discovering that the war in Iraq is about a conflict within the Muslim faith. The Taliban was a despicable dictatorial regime, but the Taliban did not attack us on 9/11-yet we went ruthlessly to war against them. Looking back, it’s an astounding act of ignorance. I believe Osama bin Laden was counting on it. So we’ve learned a lot about Islam over the past five years, thank goodness, and we won’t be that ignorant again, I hope. In your film you discuss a cross that was erected at Auschwitz by Pope John Paul II. You speculate on what that cross means to those without religious faith. With religious tensions running high, do you think anyone can see religious symbols without an association? When I wrote that 10 years ago, the world wasn’t quite so religiously inflamed as it is now. Even for people who think of themselves as secular and post-religious, religious symbols have become central to the current crisis. I’m not sure I would write that sentence today. The most important thing for my narrow work on Christianity and Judaism is that it has now become a lethal triangle between those and the Muslim faith. We are, now, confronting the danger of a very serious conflict. 4•1•1 James Carroll will deliver a free public lecture, The Disputation: Christians Arguing with Christians about the Jews, on Thursday, February 7, at 8 p.m. at UCSB’s Campbell Hall. For more information, call 893-2317.